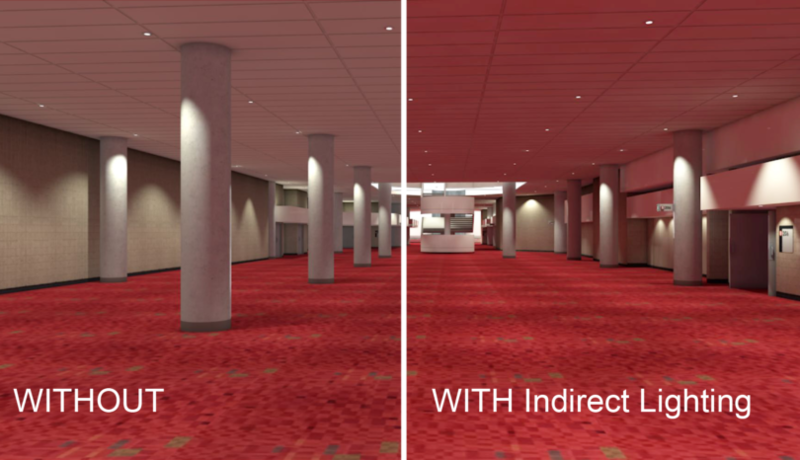 Turn on indirect and ambient lighting to achieve heightened realism in your Vectorworks renderings. These settings bounce light around your scene to create a unified look and can contribute to an overall mood in the scene. 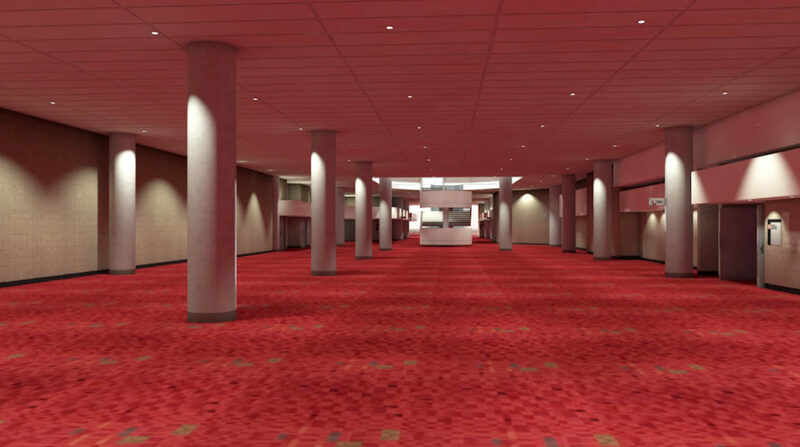 When I first started rendering I had no idea what Indirect Lighting was for. All I knew was it took forever to render. However, now that I understand how it works I see why it is so worth the wait! With the camera viewport selected, click into Lighting Options in Object Info. The lighting options window may look different depending on which Background Render style you have chosen. 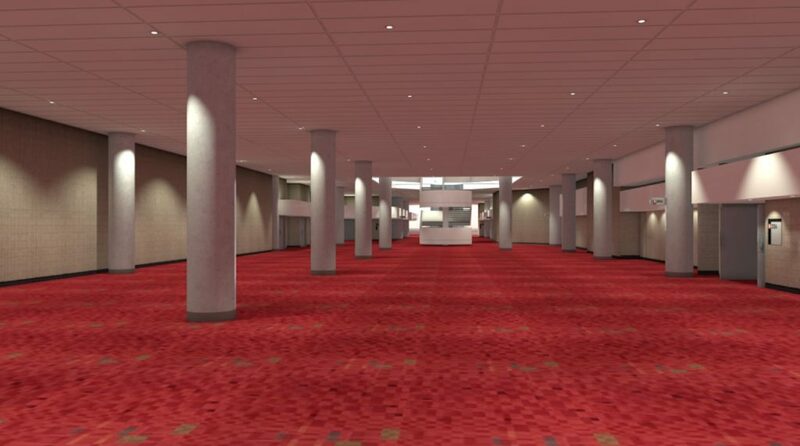 I have Normal (4 bounces) set for Indirect Lighting and Ambient Occlusion enabled as well. 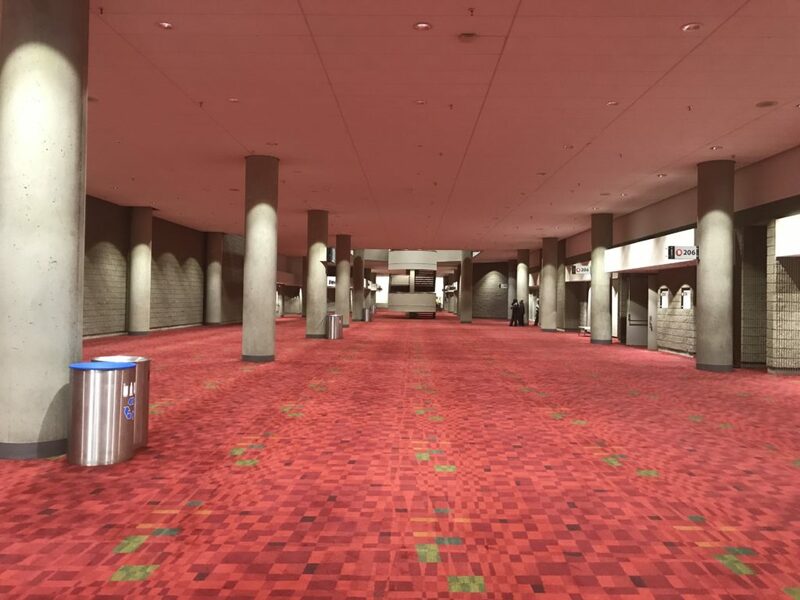 I have set my ambient color to be a light pink to better imitate the rosey tint of the light bouncing off the red carpet in this convention center hallway (below is a photo taken in the physical space). And the second image has our Indirect & Ambient render settings applied, et voilà! 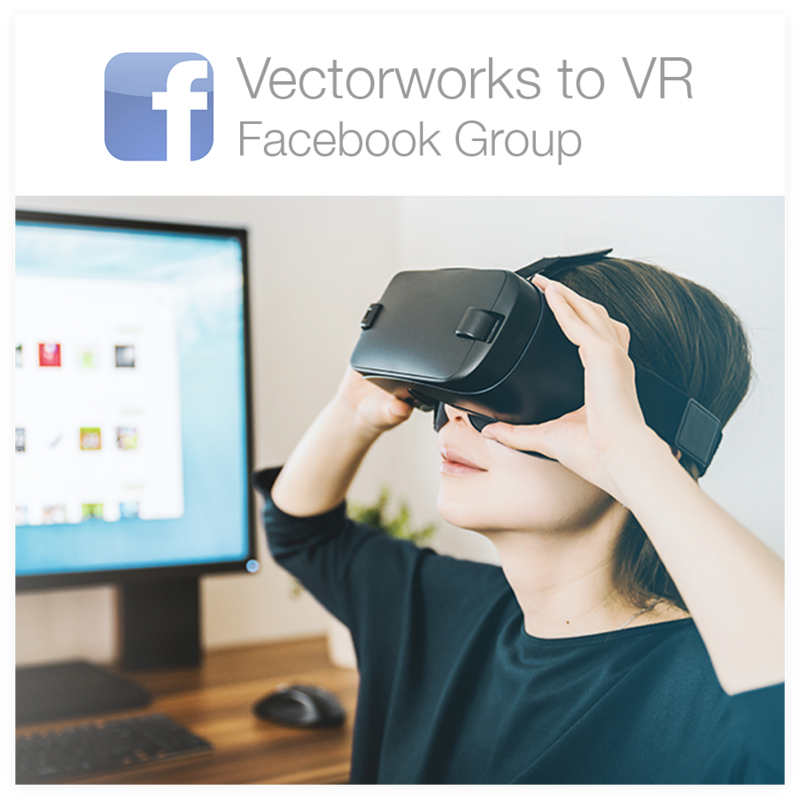 For more tips on improving your Renderworks game, check out one of our most popular posts 8 Settings for Impressive Vectorworks Renderings. 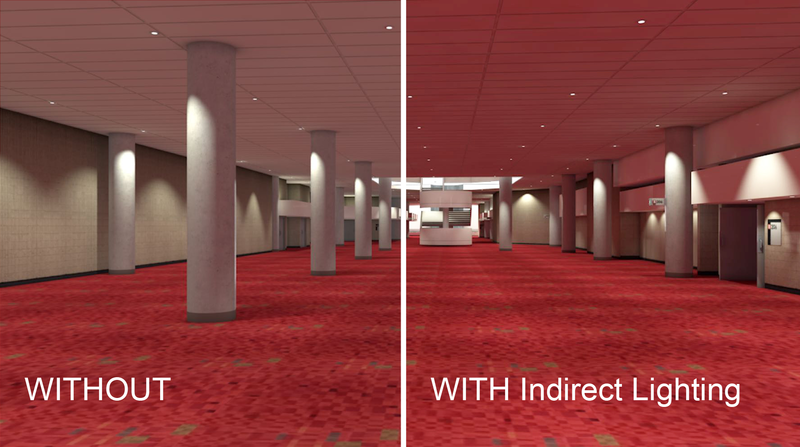 I hope this short tutorial will encourage you to experiment with indirect lighting in your next rendering project. One of the goals of ScenicMentor.com is to help designers learn faster, giving them more time to create and more easily share their ideas with the world! I’d love to hear comments or suggestions. Contact me here. Copyright © 2019 Scenic Mentor. All Rights Reserved.